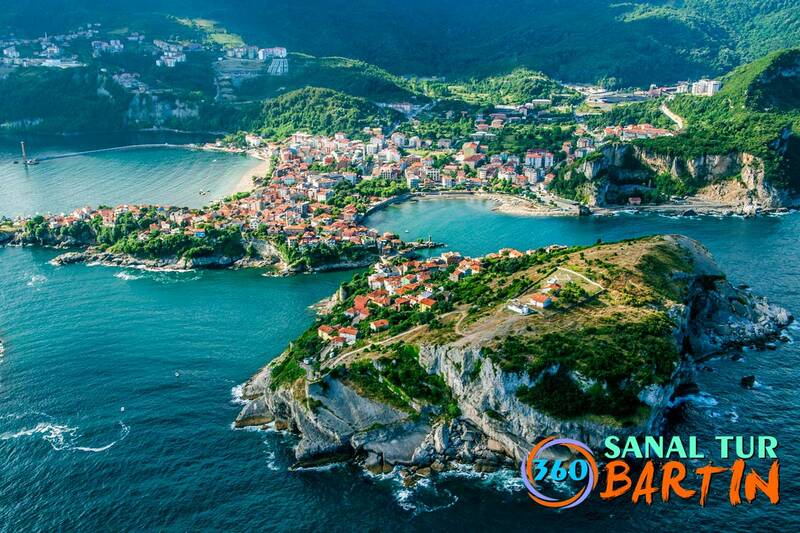 Amasra Boztepe virtual tour can be found here.. It is not known how much the God worked to create it. The only thing that is known that Amasra, which was called to be “Elegant and Beautiful” by Plinius, was called as “Eye of the world” by Niketas, “Fort with flowers” by the Genoese, “A Balance” by Diogenes, who said “Stand Out of my Sunlight, I don’t need Anything Else”, and “Puerto Fino” by the famous Turkish Art Music Singer Zeki Müren. During the conquer in 1460, Fatih Sultan Mehmet must have been impressed much by the scene, since he said “Tutor, is this the eye of the world” being unable to hide his astonishment. 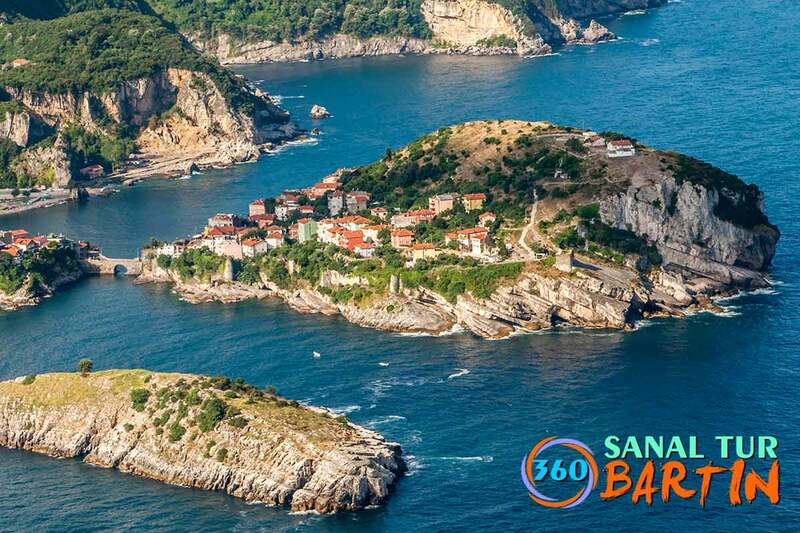 What makes Amasra exotic is the natural structure consisting of 7 hills, a peninsula, two islands and two gulfs and the forest cover, which has the image of paradise of green. Due to those properties, tourism has started in 1940 and has become famous as the first tourism town of Turkey. The name of the town in ancient times is “Sesamos”, which means sesame. The name of the woman leader, who ruled Amasra in the 3rd century B.C was Amastris, and the Ottoman called the city “Amasra” after this leader. The first owner of this ancient city is the Amazons. Thereafter the Phoenicians, Ionians, Kayrans, Achaeans, Persians and following the Amastris, the Pontus, Romans, Byzantines, Ottoman have lived in Amasra. 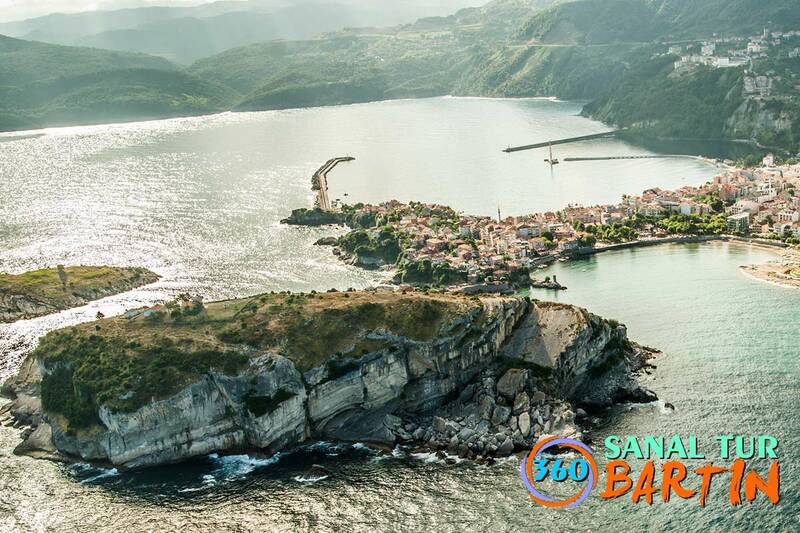 Our Amasra district is 17 km away from Bartın. D0 10 road is arrived at by following Tersane Avenue from Bartın centrum. Amasra is arrived at after a travel of approximately 10 minutes. -You can go by vessel to the most beautiful bays of the Black Sea. -You can taste our celebrated Amasra Salad and Fish, taste of which you would be telling to everybody.